Today I found out Ben Franklin’s proposal of something like daylight saving time was written as a joke. 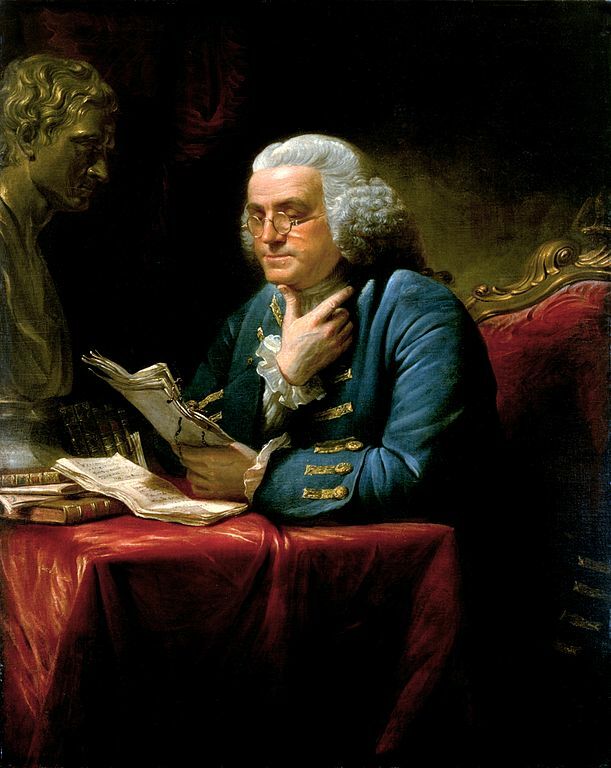 In a comedic letter he wrote, An Economical Project (published in 1784), “to the authors of the journal of Paris”, Franklin mentions something like daylight saving time. Although, instead of changing clocks, he suggested ringing church bells and firing cannons, among other things, as the sun rises to maximize the amount of time people would be awake during times when the sun is providing free light. The letter was meant to be a satire, rather than actually suggesting these changes be made. He then goes on to estimate that a total of about 64 million pounds of wax would be saved in Paris alone over a six month period starting in spring if people woke up when the sun came up. He then suggests a variety of methods to induce people who are “obstinately attached to [the] old custom” of getting up at noon to wake up with the sunrise, such as taxing people who have shutters on their windows, rationing candles, and waking people as soon as the sun comes up by ringing church bells and firing cannons. Although, it’s quite clear he’s joking around in this letter, Franklin was known for putting more subtle jokes in many of his other papers that only the most astute would spot. He was so famous for this that, according to Ormand Seavey, editor of Oxford’s edition of Ben Franklin’s autobiography, when they were deciding who should write the Declaration of Independence, they partially chose Jefferson over the significantly more qualified and respected Franklin, as some feared Franklin would embed subtle humor and satire in it that wouldn’t be recognized until it was too late to change. Knowing this document would likely be examined closely by the nations of the world at that time, they chose to avoid the issue by having the much less gifted writer, Jefferson, write it instead, with Franklin and three others to help Jefferson draft it. The modern day version of daylight saving time was first proposed by the New Zealand entomologist George Vernon Hudson in 1895. The credit for the first to suggest the modern day DST system is often incorrectly given to William Willett who independently thought up and lobbied for DST in 1905. He was riding through London one day in the early morning and noticed that a good portion of London’s population slept through several hours of the sunlit summer days. If only he’d read Franklin’s letter, inspiration might have struck sooner. Willet lobbied for DST until his death in 1915. It was one year later in 1916 that certain European countries began adopting DST.